Parents are willing to pay £53,000 for a home near a good school, according to latest figures published by Lloyds Bank. Average property prices have reached £366,744 in areas closest to England’s top secondary schools, that’s 17% above the county average of £313,318. In some areas, prices are as much as 171% above the national average, the statistics have revealed. In addition to securing a place for their children at a top school, buying a home nearby is also proving to be a shrewd investment; parents who bought a home near one the UK’s top 30 state schools just before their child first entered secondary school in 2011 have seen an average house price rise of £76,000 (from £290,683 to £366,744, in 2016) – that’s an increase of 26%. Seymours Estate Agents, which was recently named best regional estate agent in the Southat the British Property Awards 2016, has a number of homes on the market near some of Surrey’s best schools. This four-bedroom, semi-detached home is situated just around the corner from St Joseph’s Primary School and within 1.5 miles of Guildford town centre and mainline railway station. Accommodation is set over three floors, with the entire third floor housing a spacious master bedroom with en suite shower room. The house also benefits from a driveway and is on the market with Seymours Worplesdon office (01483 572547) for offers over £450,000. This interesting contemporary four-bedroom family home has the added advantage of two separate apartments that could be rented out or used as an annex – perfect for when the kids hit their teen/early adult years) as well as large gardens including a paddock with views towards Box Hill. It’s also just a two-minute drive from The Aschombe School and is on the market with Seymours Dorking office (01306 776674) for £1,250,000. 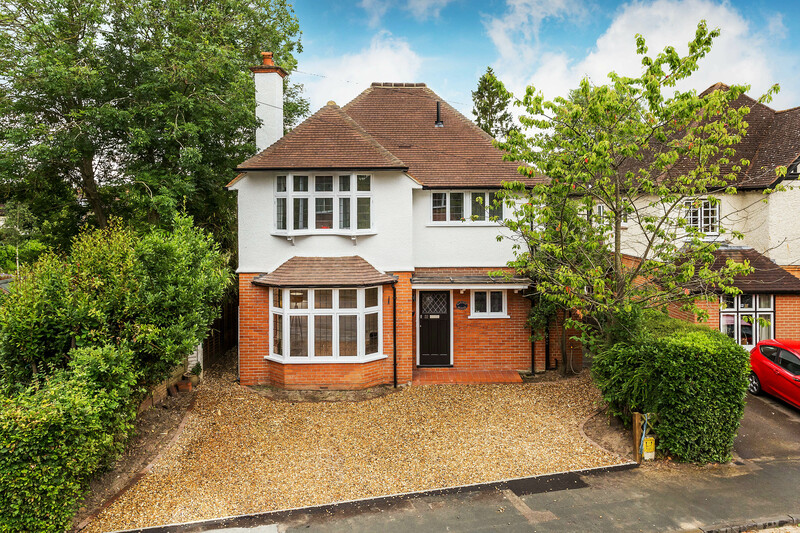 Situated in a sought-after tree-lined road just a few minutes’ walk from The Horsell Village School, this Edwardian, five-bedroom home is presented in show home condition having undergone a complete refurbishment. While much of the original character of the home has been retained, the extension and renovation has completely transformed this property. It’s on the market for £1,250,000 with Seymours Horsell office (01483 755222). Set in a rarely available, desirable cul-de-sac, this charming three-bedroom family property is ideally located within minutes of sought after primary and secondary schools, including St Paul’s CofE Primary School and Jubilee High School. The property boasts a bright spacious living/dining room, a good size kitchen and plenty of storage, as well as a beautiful master bedroom with en suite shower room and not just one but three parking spaces! It’s on the market with Seymours Addlestone office (01932 485101) for £390,000. For more information about any of Seymours’ properties visit www.seymours.co.uk.